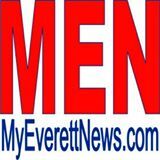 Help the Everett Farmers Market Be America’s Favorite Farmers Market! 1) There are loads of delicious farm fresh produce available at the Everett Farmers Market every week. 2) American Farmland Trust’s America’s Favorite Farmers Markets™ contest has kicked into gear and we need your votes to win! That’s it. That’s all it takes to bring Everett Farmers Market one step closer to being America’s favorite farmers market! Want to support multiple markets in Washington? Search by state and you can vote for more of your favorites – just remember, you only have one vote to cast per market! According to American Farmland Trust (AFT), the purpose of this contest is to re-connect local consumers to local farms, with the ultimate goal of keeping our nation’s farm and ranch land productive and healthy! Buying at the farmers market keeps money in the local community and helps farms and ranches remain economically viable. By voting, you’re helping support farms and communities across the nation. As American Farmland Trust says, “No Farms No Food™!”So don’t forget to vote for Everett Farmers Market at www.farmland.org/vote and spread the word! Big thanks to everyone who has already voted!